The D Wiper evolved from the older AN style. They’re more suitable than AN wipers for applications in which the rod seal is larger than six inches or the environment is contaminated enough so an AN wiper fails to prevent ingression. 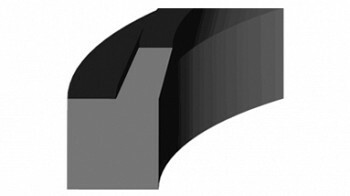 J Royal offers four D wiper styles, all of which are designed to fit the same size groove so that if the application’s variables change, retrofitting an existing application with a more advanced design is easy.